Once they were men; now they are land crabs. 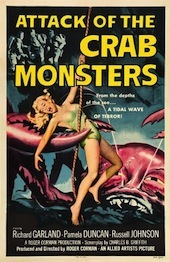 In his sequence for Roger Corman’s Attack of the Crab Monsters, designer Paul Julian explores practical camera moves, multi-plane illustrations, and cross-dissolve animation to create a sense of urgency and mystery throughout. Paul Julian (1921-1995) was a Warner Bros. veteran who had worked mainly on Looney Tunes properties and is perhaps best known as the voice of Roadrunner (Meep! Meep!). He migrated into title design in the late ’50s before later joining the ranks of UPA and working exclusively with notorious B-movie producer–director Corman. 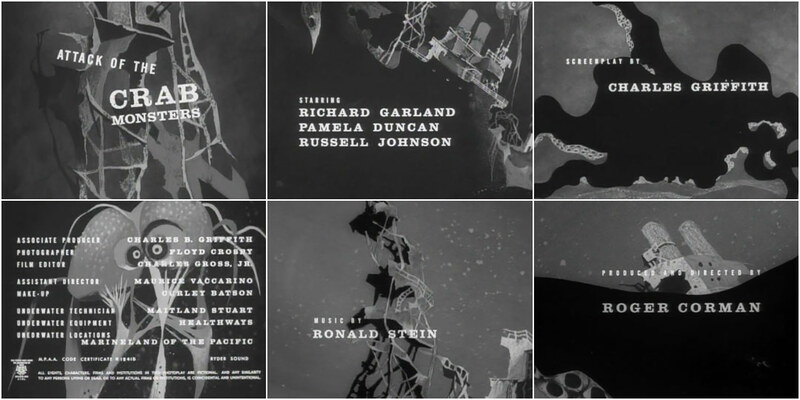 Julian’s narrative background and unique mixed-media animation style lent his sequences a tonal depth and complexity not previously seen in B title design. 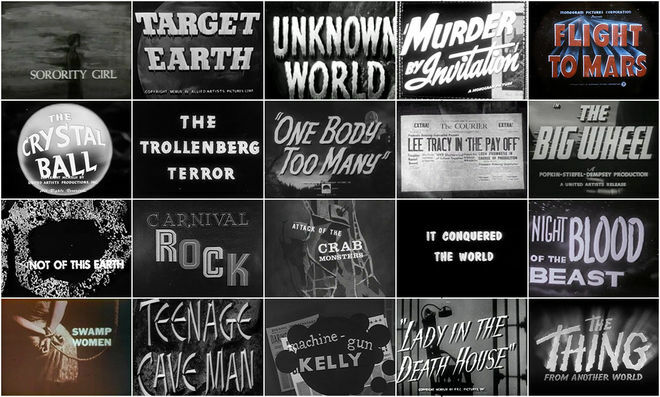 They Came From Within: B-Movie Title Design of the 1940s & 1950s.